A few months back, I happened to visit a department store and the bicycle section was promoting rust removal solvents, touch-up paint, chrome polish and other bicycle restoration goods. 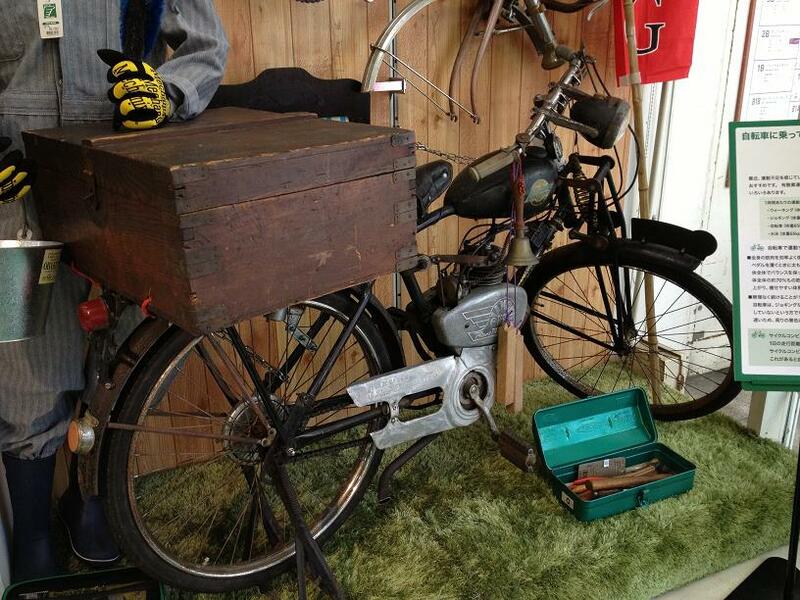 There on display was a great "attention-getter", an old motorized bicycle. 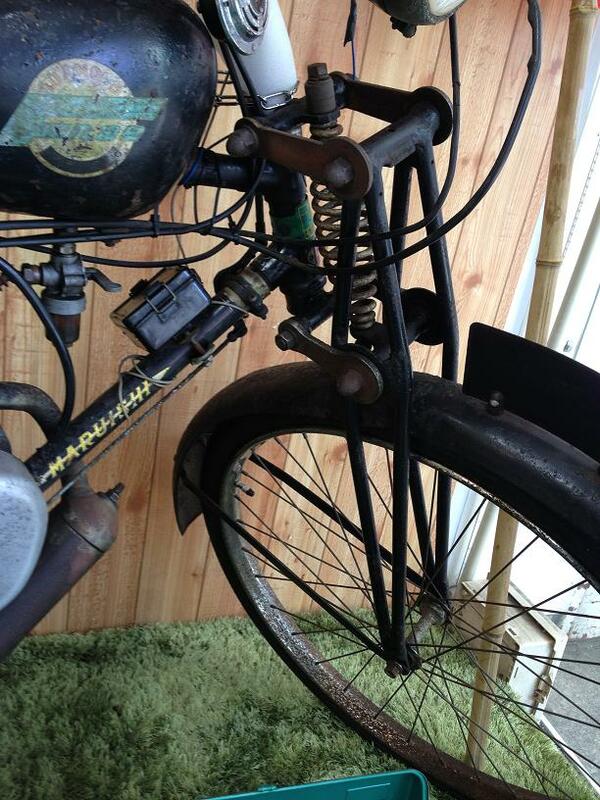 Upon close inspection it turned out to be a bicycle manufactured by Maruishi, a company still in the bicycle business. It is hard to believe but the famous motorcycle and automobile manufacturer Honda first started out by producing a similar motorized bicycle back in 1947, the Honda A-Type, also, referred to in Japanese as the Bata-Bata Bike, taken from the sound the engine made. The engineering design behind the suspension equipped offest front forks on these old motorized bicycles, or mopeds, is quite interesting. 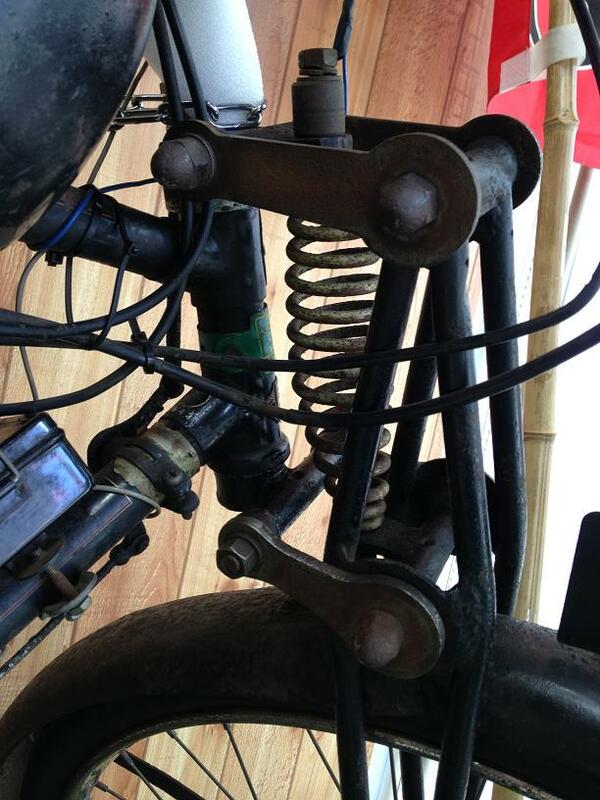 Heavy duty spring to smooth out the bumps. Road conditions over half a century ago where certainly nowhere near what they are today. 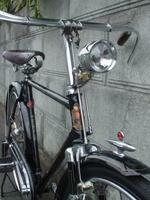 Japan has come a long way; espescially when one considers two wheeled motorized transportation. 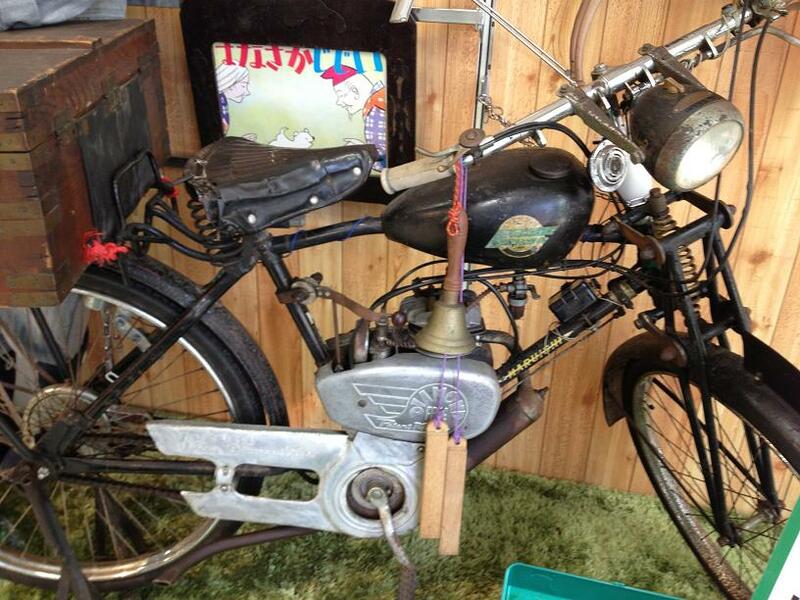 None of the big four Honda, Yamaha, Kawasaki or Suzuki were producing motorcycles prior to WWII.